Plot Summary: 5000 years ago, the Triton Family was living peacefully in Atlantis until the Poseidon Family destroyed them all. 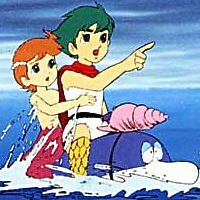 Triton, of the Triton Family line, embarks on an adventurous life in the sea fighting the Poseidon Family. Licensed by: Power International Multimedia Inc.